Yong Pung How was born on the 11th of April, 1926 in Kuala Lumpur, Malaya, the only son of six children of Yong Shook Lin and Yu Tak Fong. He received his education at Victoria Institution (Kuala Lumpur) and went on to read law at Downing College, Cambridge. He became friends with Lee Kuan Yew, a fellow student and both obtained a First in the first-year law examinations. He graduated with a Bachelor of the Art degree from Cambridge University in 1949 and qualified as a barrister-at-law of the Inner Temple in 1951. In 1952, he returned to Kuala Lumpur and practiced law as a partner of law firm Shook Lin & Bok until 1970. In 1964, Yong was admitted as an advocate and solicitor in Singapore and was made chairman of the Malayan Airways in the same year. In 1966, Yong was appointed as vice-chairman of Malayan Banking Bhd holding the appointment up to 1971. 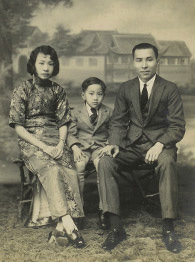 Following the Kuala Lumpur racial riots in 1969, Yong migrated to Singapore with his family. In 1971, he left legal practice and joined OCBC as a director and in 1983 was made OCBC’s chairman and chief executive officer. In early 1989, Yong was invited by Lee Kuan Yew to become the Chief Justice of Singapore and on 1.7.1989 took on the role of Chief Justice. To tackle the backlog of approximately 2000 suits in the High Court, he introduced radical changes to transform and streamline the courts, including the use of technology. He increased the number of courts and established specialist courts. The backlog was overcome by the mid-1990s and the Singapore legal system was transformed into one of the finest, internationally. 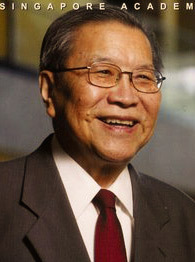 Yong was conferred Singapore’s highest honour, the Order of Temasek (First Class). He retired on 10 April 2006 and was succeeded by Chan Sek Keong (also a former partner a Shook Lin & Bok, Malaysia).